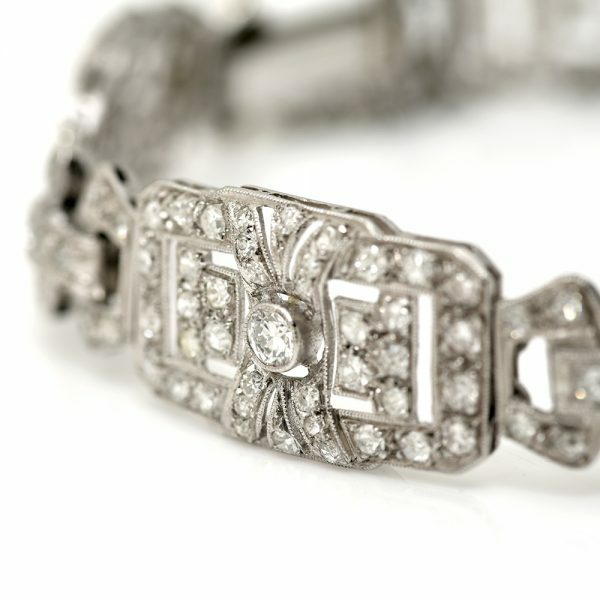 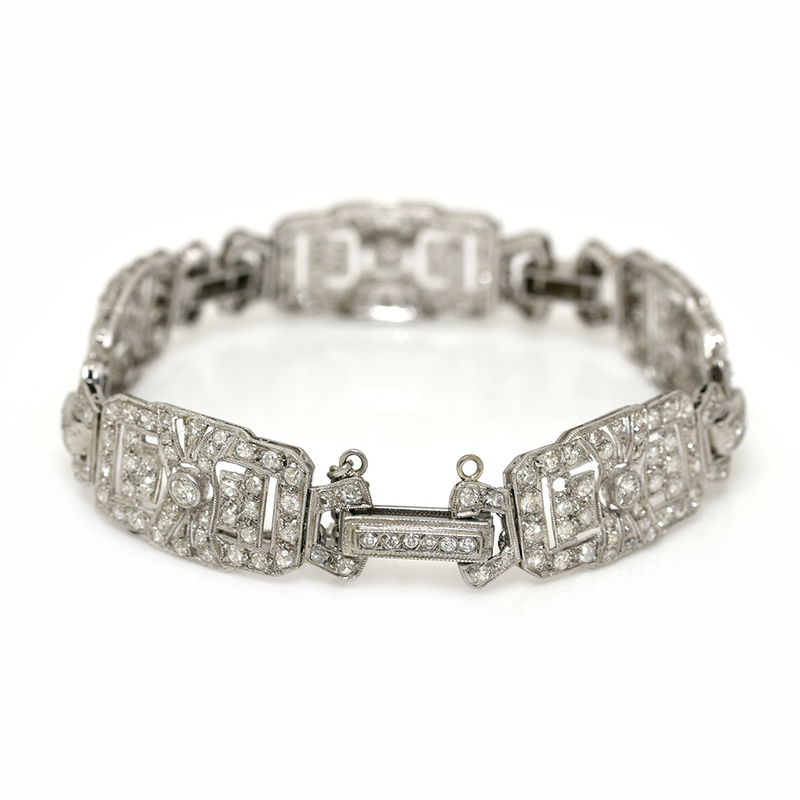 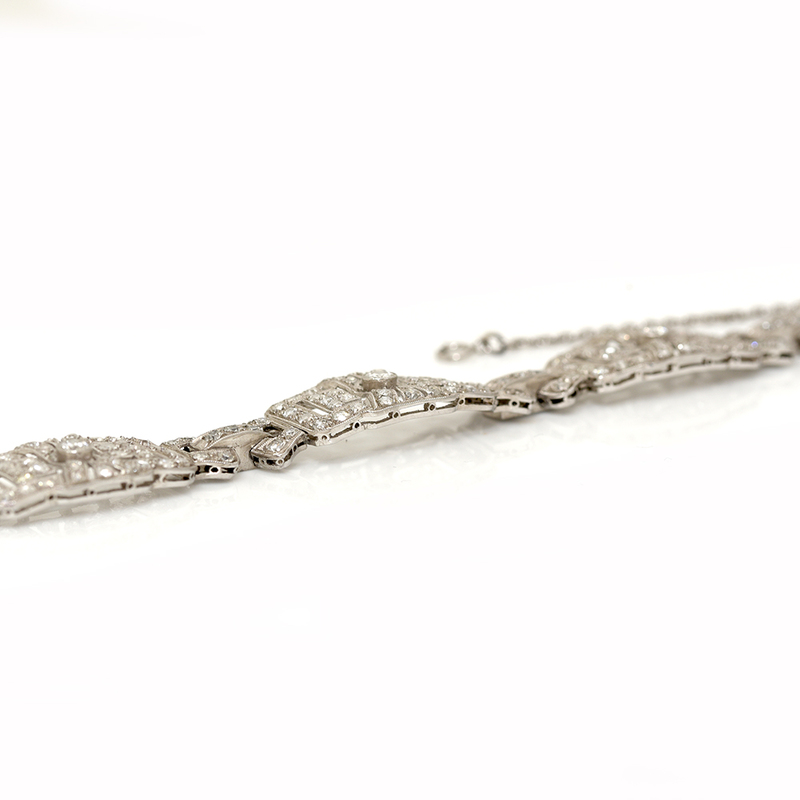 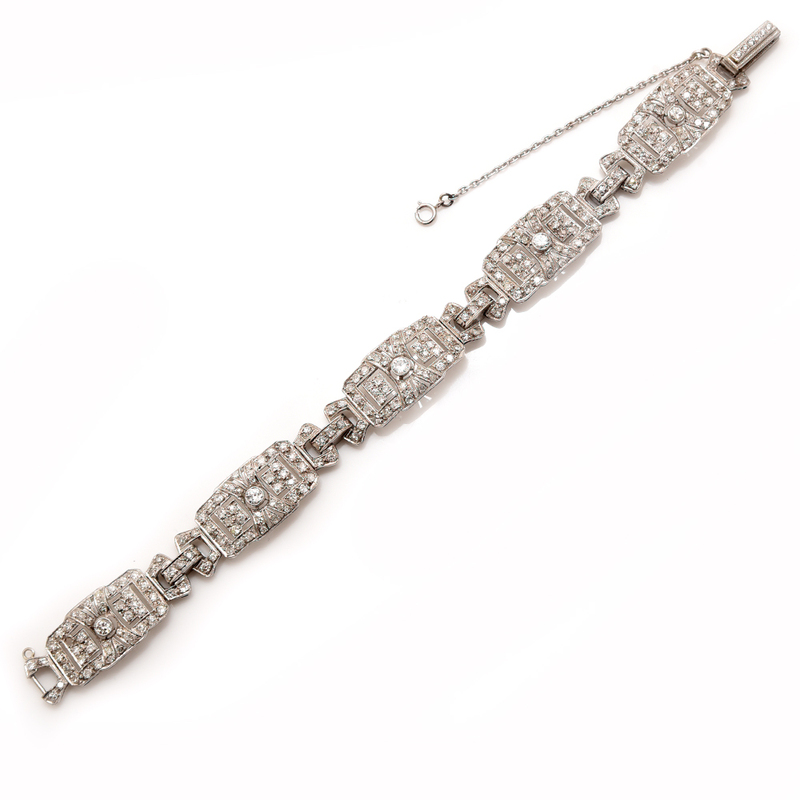 We have this fantastic Art deco diamond encrusted bracelet. This bracelet comprising of five geometric panels set with a central brilliant cut diamond with a pierced boarder set with single cut diamonds, with a single cut diamond encrusted connector link. 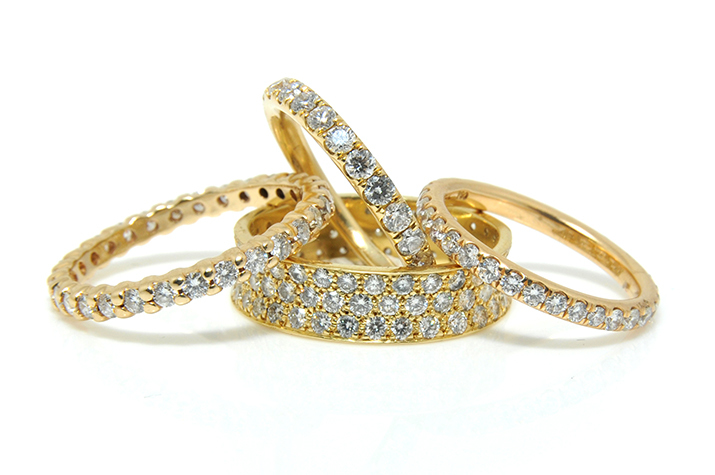 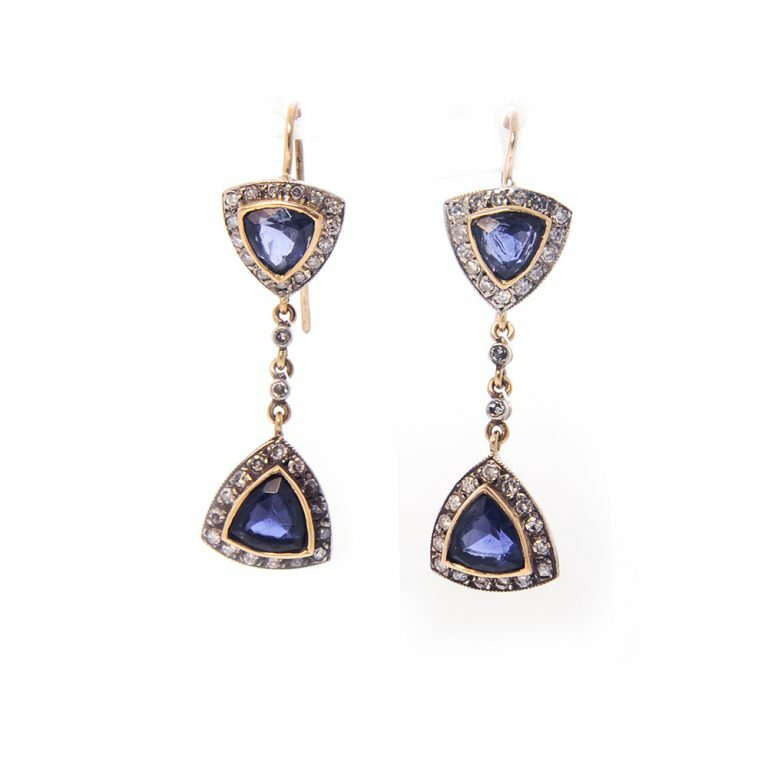 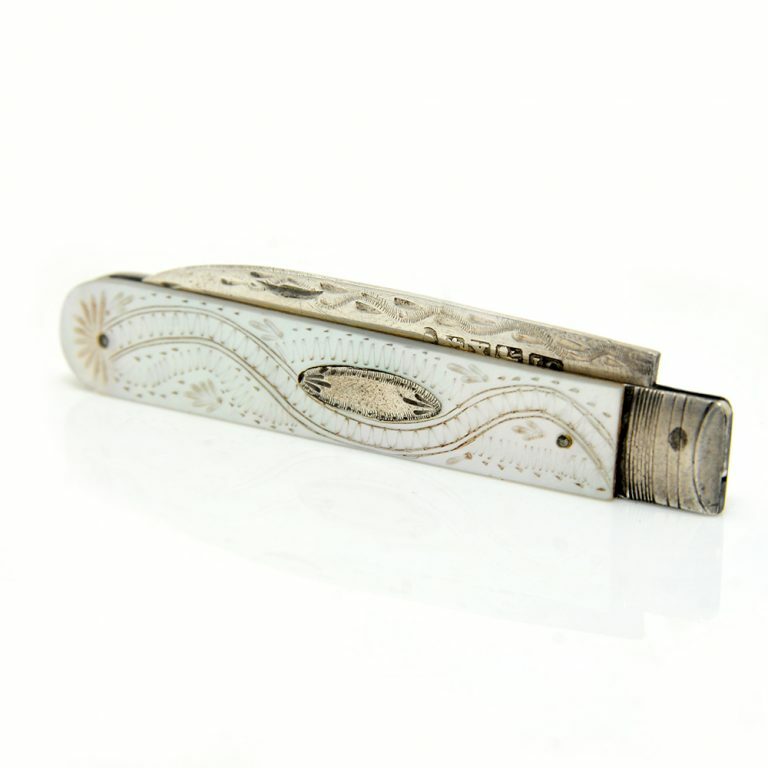 The later filled brilliant cut diamond set fold snap clasp with a fitted safety chain. 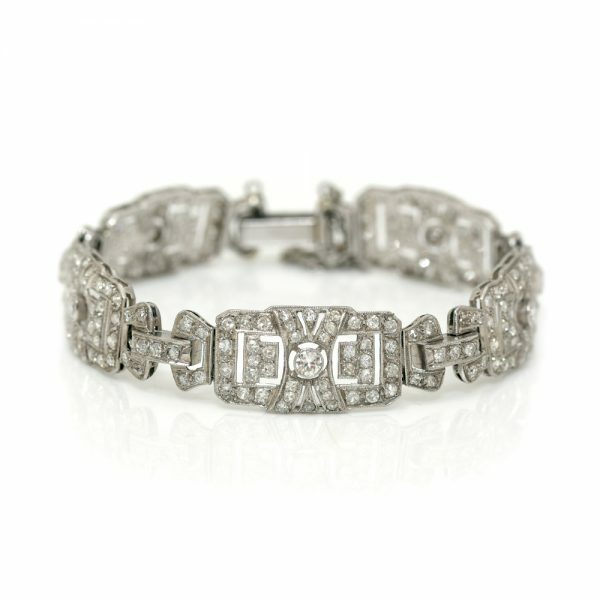 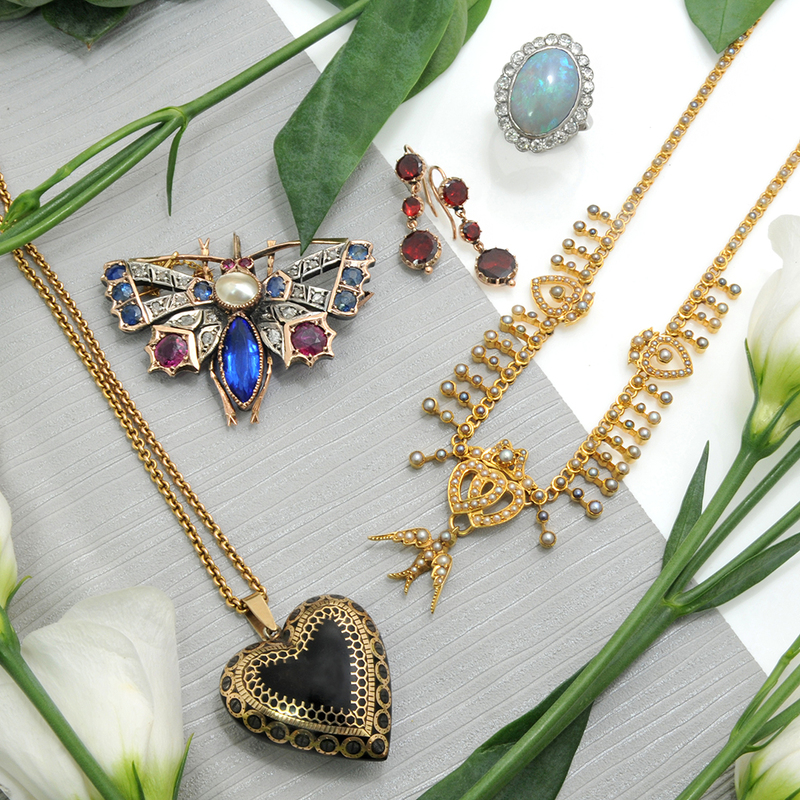 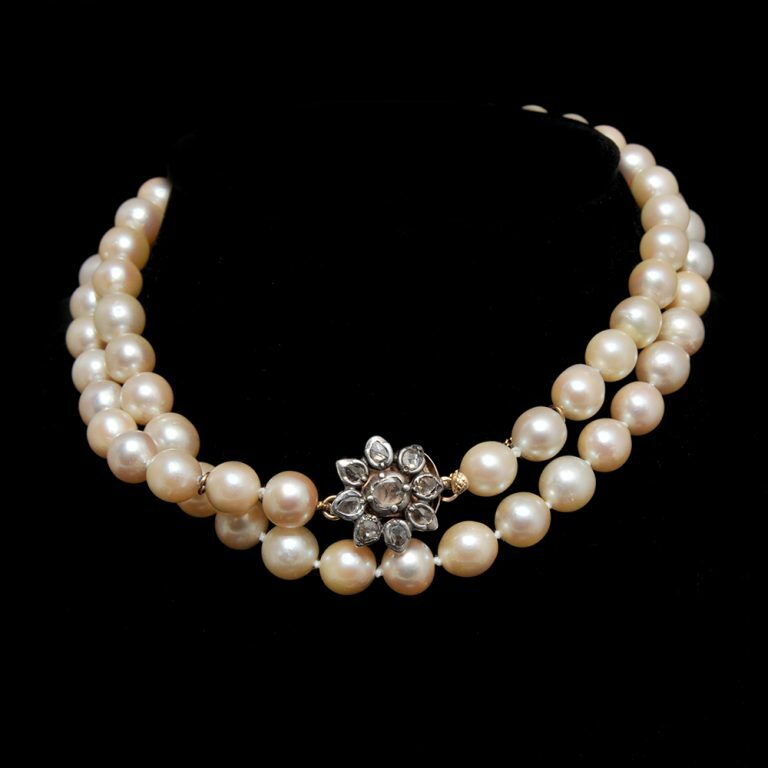 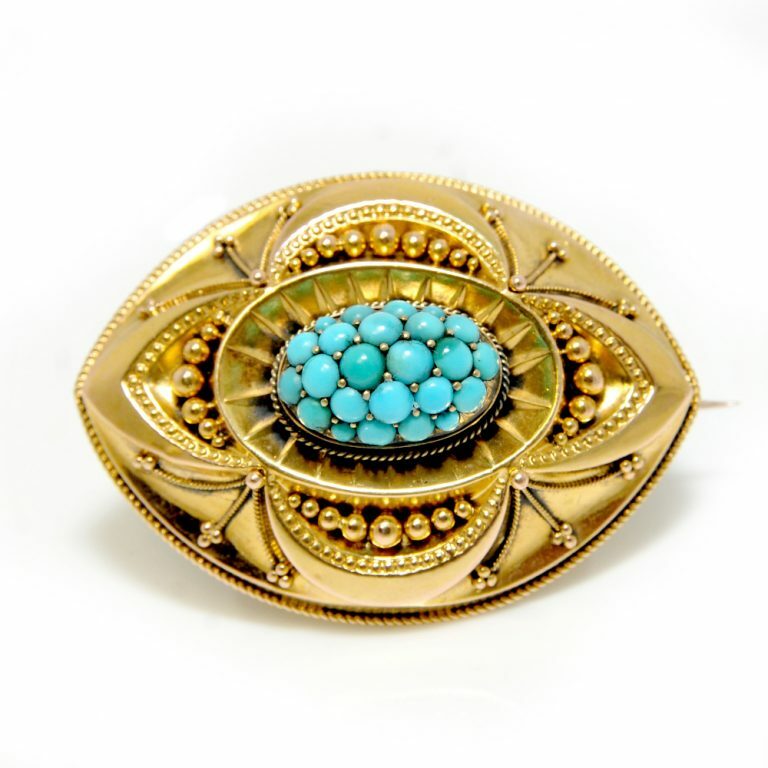 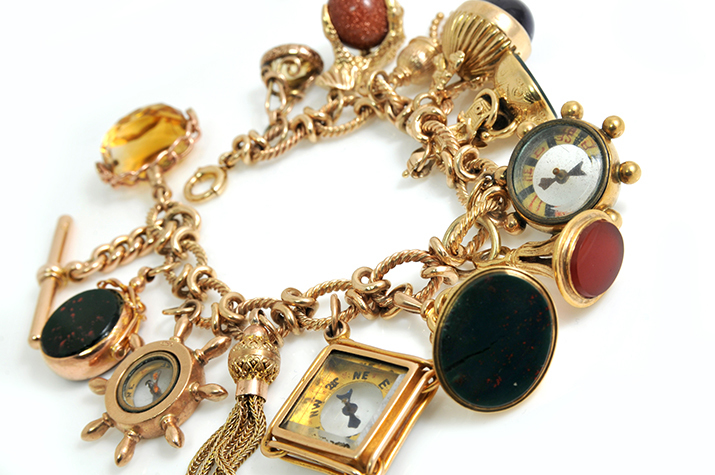 Making this a stunning piece of jewellery from all angles.